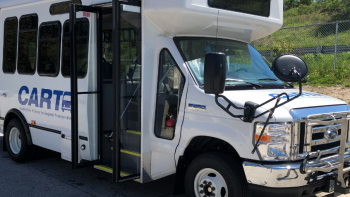 The Derry/Londonderry shuttle provides regular fixed service for seniors and people with disabilities to the Londonderry Senior Center and the Marion Gerrish Center in Derry for Nutrition and Adult Day services. This service is in coordination with Rockingham Nutrition Meals on Wheels. Transportation to dialysis centers in Derry and Londonderry is also provided. 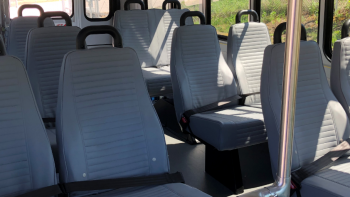 Non seniors and passengers without disabilities are accommodated if space is available. 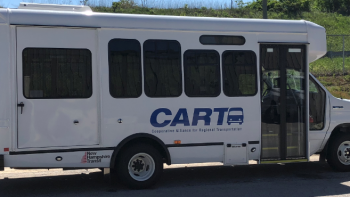 The Derry/Londonderry Shuttle provides demand response service, as time allows, operating Monday-Friday between the hours of 8 a.m. and 5p.m. There is NO FARE to ride the Shuttle. Round trip route deviations are allowed for pickups at residences only to drop-off locations indicated on the schedule and the return trip must be from original drop-off point to original pick-up location. Passengers are asked to be ready 10 minutes prior to scheduled pick-up time as the bus cannot wait. Deviations upon demand will not be honored. All route deviations must be pre-planned to provide maximum seating capacity for the general public. No flag stops or hailing from the street are allowed. Riders may board and depart from any of the designated stops. To schedule a Derry/Londonderry Shuttle route-deviation ride, call 603-434-3569.